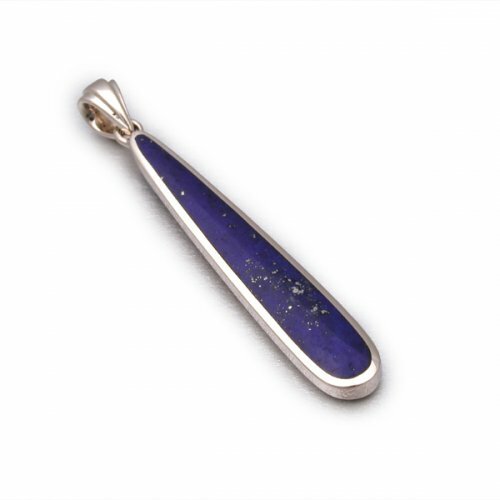 Lapiz Lazuli is well known for being akin to the colour of the Mediterranean Sea, and here the colour is captured in a stunning stone set into sterling silver. Can be worn on a short necklace - or longer for a more fashion-forward look. This jewellery has ben made by expert craftspeople and will last a lifetime.